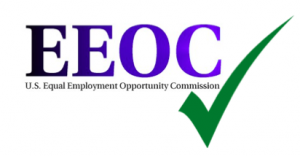 What To Expect From EEOC of DFEH Investigation? EEOC (Equal Employment Opportunity Commission) and DFEH (Department of Fair Employment and Housing) are two main administrative agencies charged with address workplace discrimination. EEOC is federal agency, while DFEH is its California counterpart. These agencies pursue a very small number of cases that they pick from all the many inquiries they receive every year. EEOC investigation can take anywhere between 4-6 months and up to a year or longer, depending upon how busy your local EEOC branch is, the nature of allegations and the degree of cooperation of the employer with the process. A charge of discrimination must be filed within one year of the most recent discriminatory event. Obviously, if you believe you were terminated for discriminatory reasons, your termination would be that most recent event. Most complaints received by these agencies result in no findings, and and issuance of a right to sue letter many months after a complaint is submitted. This is in part because these agencies have limited resources, and in part because many inquiries are either very hard to investigate or they simply have no merit. However, obtaining a right-to-sue letter is a requirement before a lawsuit for discrimination can be filed in California. In some cases, allowing those agencies to investigate your discrimination allegations is a good idea. In other situations, especially if you have a strong case, it’s better to obtain an immediate right-to-sue letter, which can be done online through an attorney, and file a lawsuit without delay. This is especially important if there is a concern that with time evidence will “disappear” and witnesses will become unavailable.